The ceremony will be April 7 at Brooklyn’s Barclays Center. 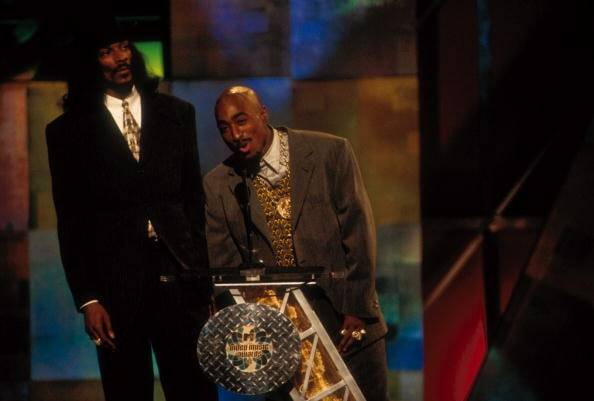 Snoop Dogg will help to induct Tupac Shakur into the Rock and Roll Hall of Fame, reports The Rolling Stone. News of Snoops involvement in the hall of fame tribute first broke on TMZ. 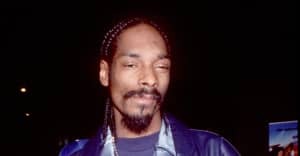 Snoop and Tupac worked together on All Eyez on Me's, "2 of Amerikaz Most Wanted," and had a history as friends and label mates on Death Row before Shakur's death in 1996. There is no information yet as to what the ceremony will entail. The full line-up for the tribute to the late west coast rapper has not been nailed down, noted The Rolling Stone, but Snoop Dogg will be involved. At the end of 2016, it was announced that Tupac would be inducted into the hall of fame along with Pearl Jam, Joan Baez, Journey, Electric Light Orchestra. The induction will be on April 7 at Brooklyn's Barcley's Center. An edited version of the ceremony is set to air on HBO, along with a radio broadcast on SiriusXM.